Wrytree Drift named after the mine (now closed) halfway down the drive to the Chapman's farm. The same workings that inspired Michaels song Prospector from 1979. 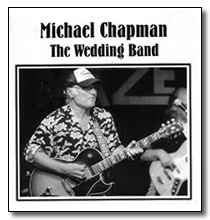 Michael alternates between electric and acoustic guitars with plenty of 'hows he doing that' moments. The music shifts and drifts from folk ballads to languid dub, dark electric blues and solo guitar work outs. Opens with a wonderful observational song 'Another Song'. A classic Chapman track in the making. 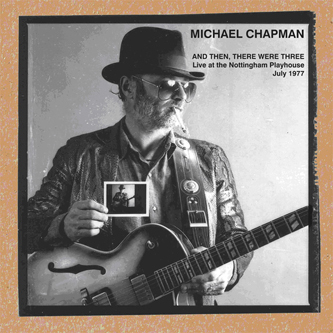 The album showcases a studio version of So Young recorded on Michaels live album with Alamo Leal, a dark revist of Soulfull Lady, a great take on Mose Allison's Parchman Farm (inspiring the sleeve photo of Michael captured as if in a deep south jail breaking rocks) and a beautiful acoustic folk rock version of Blue Season from Life On The Ceiling. 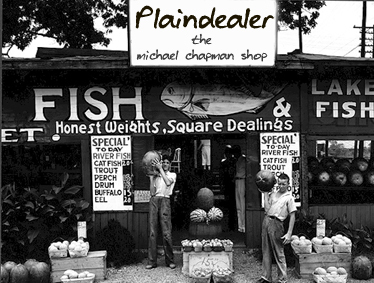 Elements of the experimental music from Sweet Powder, the playing on Time Past and Time Passing and the textures of Plaindealer combine to make a highly recommended listen. 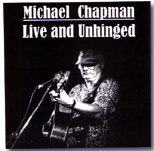 Also available are Michaels live CD Live And Unhinged, the solo album recorded before The Twisted Road that has become known as The Black and White album and a live duo album featuring Michael Chapman and Alamo Leal called Live At The White Swan. Negotiations are ongoing to have all of Michaels albums currently released through Voiceprint also available for sale here. All transactions from this page are secure payments made via paypal visit paypal we have sent cds and Lps all over the world. .
these are secure payments made via paypal visit paypal we have sent cds and Lps all over the world. UK items will be posted same or following day. European and World items will be posted within 2-3 working days.